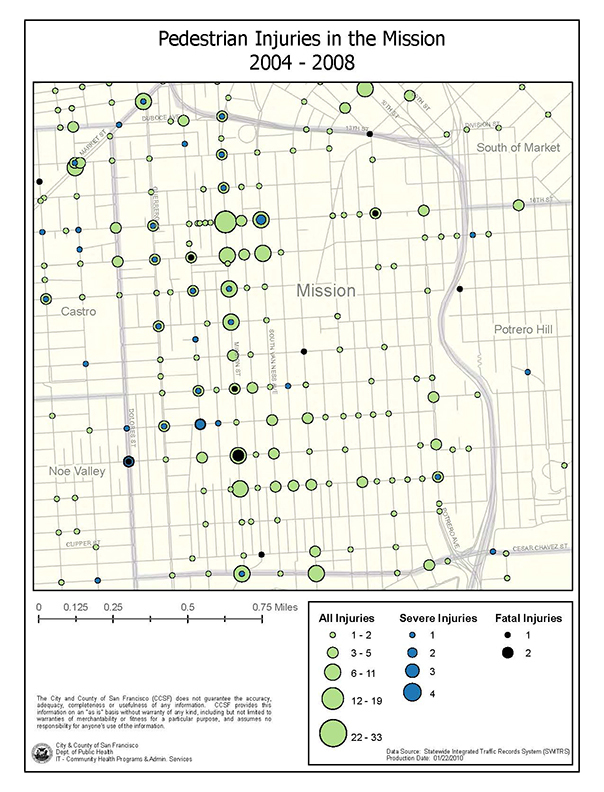 Could the Mission District’s troubling traffic safety record be the fault of misunderstandings? Of a sort, yes and now the Mission Economic Development Agency, known as MEDA, is teaming up with public health officials and the SFMTA to sort them out at the local level. Education and community outreach are the priorities, said Avni Desai, who is spearheading MEDA’s effort. Many unsafe situations arise from misunderstandings or simple ignorance of the rules. One classic example is pedestrian right-of-way in crosswalks. “As soon as you get your big toe in the intersection, you own that crosswalk,” a traffic enforcement officer explained in January to a roomful of community members. 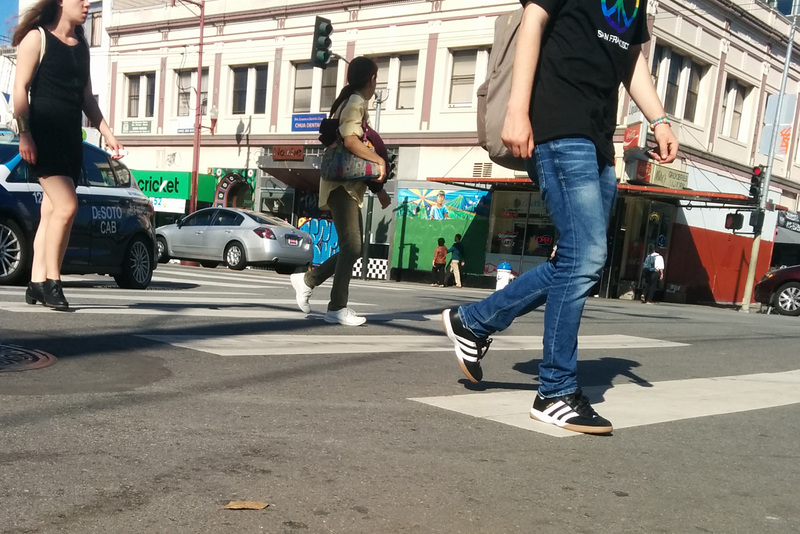 All too often, however, pedestrians are even unclear about what constitutes a crosswalk, said John Knox White, a transportation planner in the SFMTA’s Sustainable Streets program. “Whether there’s paint on the ground or not, all intersections are crosswalks and pedestrians have right of way there,” said Knox White. Simply put, as long as you’re crossing from one sidewalk corner to the other, not diagonally, you’re in a crosswalk. Some 41 percent of collisions citywide involve a pedestrian in a crosswalk. “That’s a high number of collisions that happen in a place where the pedestrian really should have the right of way,” said Knox White. Since the beginning of the year, a three-year-old has been struck in a crosswalk, a major accident occurred on South Van Ness, a cyclist was struck and killed, a taxi and Uber crashed, and a car and Muni bus crashed. And those are just the Mission traffic horror stories we’ve heard about. That means the city is far from its goal, known as Vision Zero, to reduce traffic deaths and injuries to zero by 2024. Another common misconception, as Mission Local learned last year, is how to make right turns. Friction often develops between drivers and cyclists at intersections when both assume cars should steer clear of the bike lane until the absolute last moment before making a right turn. Wrong. Cars are supposed to treat the bike lane as a real lane, and merge into it before the intersection. This avoids catching cyclists in a “right hook” as they turn across them. There’s also often a cultural or language barrier. Desai said non-native English speakers or those who exclusively speak another language can easily get confused by unclear signage, complicated pedestrian reroutes, or citywide outreach attempts. That may be part of the reason why English learners are particularly vulnerable to traffic injuries. On the enforcement end of the efforts, the city is asking police to “focus on the five,” meaning to ensure that at least half of their traffic citations are for the five most dangerous traffic behaviors. All five are driver violations: Speeding, running a red light, failing to yield to a pedestrian in a crosswalk, failing to yield while making a left or U turn, and failure to stop at a stop sign limit line. Only 19 percent of Mission Station’s traffic citations were for “Focus on the Five” violations in 2014, slightly lower than the department wide average but still better than a few other stations. The city’s roads have absorbed a population increase of about 65,000 people in the last ten years according to census data. Surprisingly, car registration is on the rise, but fewer people are choosing to drive for their daily commute. In the Mission from 2000 to 2012, car ownership increased 27%, according to Planning Department numbers provided for the Mission Public Life Plan. The explosion of ridesharing services, as well as increased MUNI and bike ridership, may have also contributed to an environment in which everyone seems to feel squeezed off the road, particularly in the Mission. Four streets in the Mission recently made it on to the San Francisco Bicycle Coalition’s list of worst roads for unsafe parking practices – Valencia Street claimed the dubious prize of being the overall worst. The problems? Ridesharing services and taxis improperly using the bike lane to load and unload passengers, double parked delivery vehicles, private shuttle buses, and construction zones. Nonetheless, walking is still the riskiest mode of transportation in San Francisco — or at least, the one with the highest death rate. Nine motorists were killed in San Francisco last year; 17 pedestrians died, compared with only 4 cyclists. Driving has the second worst death rate, though between 2006 and 2010 more people in cars than people on foot or biking suffered injuries in general. In both metrics, cyclists come off the best. Instead, the goal is prevention. Desai calls it making accidents “more forgiving,” or less likely to kill or maim those involved. That means promoting infrastructural and design changes that slow vehicles down and are clear to pedestrians. It also means promoting better traffic safety knowledge. MEDA’s program, launched in December of last year, hinges on a group of women called promotoras, women well-respected in the community who are comfortable in their social circles’ native languages and know those they’re trying to reach. The promotoras have been around for years, promoting awareness about a variety of public health concerns. But now, they go to their church meetings, school assemblies, nonprofit events, even laundromats to preach the gospel of traffic safety. The promotoras also listen to the people they educate, and their reports have resulted in a list of specific needs expressed by the community. 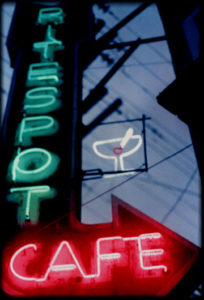 The most prominent, Desai said, is better lighting at night. Residents are also hoping for protected bike lanes, bus bulb outs, and longer crosswalk times. Seniors are among the most at-risk for traffic injuries, and usually require more time to make it across the street at large intersections. Meanwhile, some already proposed improvements are being eyed with skepticism by the community, including the Muni Forward program. Desai said residents worry that the bus lines, which run along the Mission’s highest-injury traffic corridor, will start traveling at higher speeds when certain stops are eliminated. And the soon to-be-nixed stops are right near important services they access. Looking ahead, Desai said MEDA will need to find a better strategy to reach men, a group the promotoras have less access to, and might work toward a collaboration with the San Francisco Bicycle Coalition to widen its scope from pedestrians and transit riders to include cyclists. But for now, the goal remains the same: Focus on ground-up, grassroots education and information-gathering to figure out what the community needs.